Design goals. 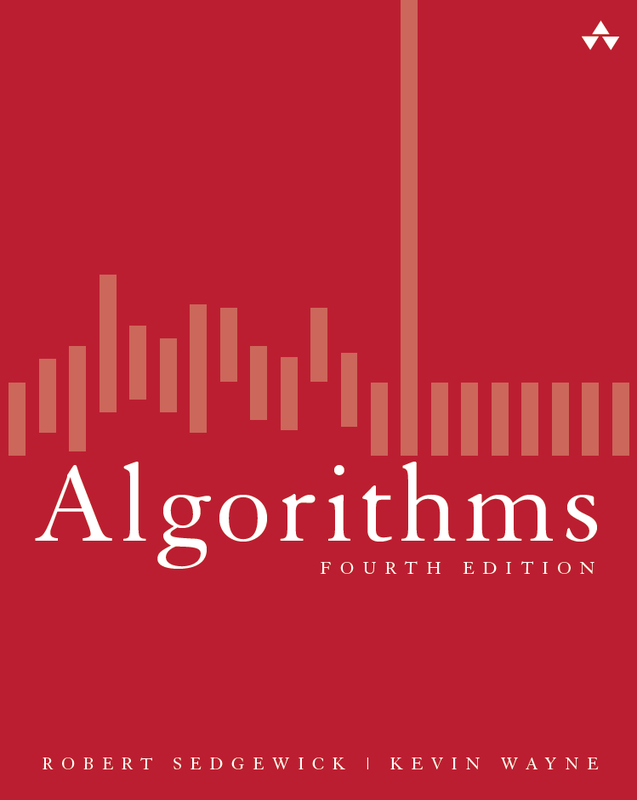 Our original goal for this book was to cover the 50 algorithms that every programmer should know. We use the word programmer to refer to anyone engaged in trying to accomplish something with the help of a computer, including scientists, engineers, and applications developers, not to mention college students in science, engineering, and computer science. The code is optimized for clarity, portability, and efficiency. While some of our implementations are as fast as their counterparts in java.util, our primary goal is to express the core algorithmic idea in an elegant and efficient manner. While we embrace some advanced Java features (such as generics and iterators), we avoid others that would interfere with the exposition (such as inheritance and concurrency). 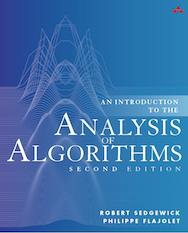 Algorithms and clients in the textbook. The list below includes nearly 200 Java programs (some are clients, some others are basic infrastructure). Click on the program name to access the Java code; click on the description to access the javadoc; click on the data file names to access the data. You can download all of the programs as algs4.jar and the data as algs4-data.zip. Standard input and output libraries. 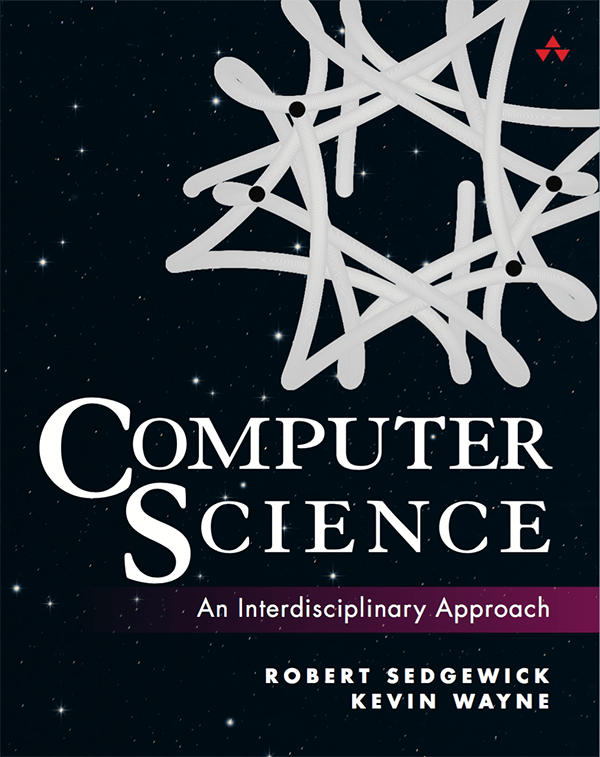 We use these standard input and output libraries from Introduction to Programming: An Interdisciplinary Approach. They are part of algs4.jar. Here are instructions for installing a Java programming environment on your operating system: Mac OS X, Windows, or Linux. IntelliJ. The IntelliJ project folders that we suppply for COS 226 and Coursera are configured to put algs4.jar in the Java classpath. Mac OS X Terminal (automatic). The Mac OS X installer downloads algs4.jar to the /usr/local/lift folder and provides the wrapper scripts javac-algs4 and java-algs4, which classpath in algs4.jar, for use in the Terminal. Windows Git Bash (automatic). The Windows installer downloads algs4.jar to the C:\Program Files\LIFT-CS folder; adds it the Git Bash classpath; and provides the wrapper scripts javac-algs4 and java-algs4, which classpath in algs4.jar, for use from Git Bash. Windows Command Prompt (manual). Download algs4.jar to a folder, say C:\Users\username\algs4. Next, add algs4.jar to the CLASSPATH environment variable. Windows 7: Start -> Computer -> System Properties -> Advanced system settings -> Environment Variables -> User variables -> CLASSPATH. Vista: Start -> My Computer -> Properties -> Advanced -> Environment Variables -> User variables -> CLASSPATH. The semicolons separate entries in the CLASSPATH. If you don't see a variable named CLASSPATH, click New and in the popup window enter CLASSPATH for the variable name. Then, perform the instructions above. Windows Command Prompt (heavy handed). Download algs4.jar and put it in the directory %SystemRoot%\Sun\Java\lib\ext\. The colons separate entries in the CLASSPATH. Mac OS X (heavy handed). Download algs4.jar and put it in the folder /Users/username/Library/Java/Extensions/. Linux Command Line (manual). Follow the same instructions as for Mac OS X Terminal. Linux (heavy handed). Download algs4.jar and put it in the directory /usr/java/packages/lib/ext/. DrJava (manual). Download algs4.jar to a folder and add algs4.jar to the classpath via Preferences -> Resources -> Extra Classpath -> Add. Eclipse (manual). Download algs4.jar to a folder and add algs4.jar to the classpath variable to the build path of a project via Project -> Properties -> Java Build Path -> Libaries -> Add External JARs. Download our test data files. To use the data, unzip algs4-data.zip. It will create a subdirectory algs4-data with all of the data files used in the textbook. We maintain the source code in a Git repository, suitable for use with Maven or Gradle. We maintain algs4.jar as a Bintray resource, for use with Maven or Gradle. Here is a list of solutions to selected coding exercises. Q. What is the easiest way to execute the main() method in classes that are contained in algs4.jar? Q. Can I use algs4.jar in my project? A. The library algs4.jar is released under the GNU General Public License, version 3 (GPLv3). If you wish to license the code under different terms, please contact us to discuss. Q. There are some classic algorithms missing from your library. Can I help you add more? A. Here a few algorithms on our wishlist. If you wish to implement any of these and contribute to algs4.jar, send us an email and we'd be happy to include your code with an appropriate attribution. Be sure to thoroughly test and comment your code; strive for clarity; and use a style consistent with the other programs in the library. Last modified on February 12, 2019. Copyright © 2000–2018 Robert Sedgewick and Kevin Wayne. All rights reserved.